The hosts were lovely and helpful and held our bags all day because we were taking a late bus to our next destination. The view from our huge terrace was to die for and probably the best in Ohrid. We felt blessed to be there. The location was great, and the staff was so nice and helpful! The area was beautiful, and I'd stay here again. The view over the lake from the terrace apartment we had was really nice, and it was a quick walk to get to the center as well as many other landmarks. Alexandra, our host, was very friendly and presented brochures with tips about the nearest sights to us. She also asked for an individual taxi ride to St. Naum for us. When checking out she even gave us two little gifts which had never occurred to me before! Our hosts, Aleksandra and her mother, were superb! We could not have asked for anything better. Everything was extremely clean. We felt very safe and comfortable. We love the location of the property; very picturesque and walking distance to all of the major sites. A word of caution, the roads in the old town are very narrow, so small cars are a must. The drive could be intimidating to most, but as they say, "..when in Ohrid, do as the Ohridians!" :) We plan to come back to Maslov apartments. Alexandra is a very good host, available and welcoming. (She even walked with us to the restaurant we had to go to!) The apartments are located in a perfect area: walking distance from the center and super close to the church and hidden water paths. The terrace was simply perfect to have a tea (the kitchen was fully equipped). Host was super friendly and helpful. Super big balcony and the view from it was superb - we could see the lake and the famous church from our balcony! Apartment is located in a quiet part of town, but just a short walk away from all the attractions. Apartment was well outfitted, with comfortable beds. The apartment is super great ,the lacation,the landscape surrounding ,the cleanliness and last but not least the host of this house is super nice.Just imagine: After a long distance bus trip, take a hot shower, lie down in a beach chair with coffee on a platform facing the beautiful lake, what a great holiday it is ! If I visit this nice city next time,I will stay here too . I think it is also a good choice for other visitors . Thanks my friend, it is a home away from home . Everything from the beginning to the end was just amazing. Best view, amazing terrace , great host!!!!! this is the place to be in Ohrid. Located in the most amazing part of town, it’s on the hill so there is a lot of climbing everyday but it was just perfect to burn out the calories from all the amazing Macedonian food we were eating. Our studio was just perfect for 2 people, beds are extremely comfortable and pillows great to sleep on. We didn’t cook but all the facilities were there to do it. Great bathroom with shower. The hostess was incredibly welcoming and kind, she made us feel at home from the get go. While the apartment and gardens were a perfect base to come back to after exploring Ohrid. 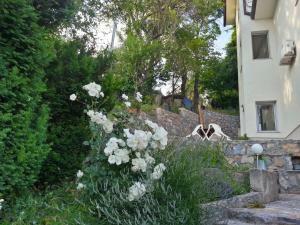 Location wise, it is great, on the edge of the old town but still close to some of the best restaurants in Ohrid. The view over the look from the property is wonderful too. We would highly recommend staying at Maslov Apartments and wish we could have stayed longer! Lock in a great price for Maslov Apartments – rated 9.7 by recent guests! One of our best sellers in Ohrid! Offering mountain views and barbecue facilities, Maslov Apartments has accommodations well set in Ohrid, within a short distance of Early Christian Basilica. Complimentary WiFi is provided. Providing a terrace, some units are air-conditioned and feature a dining area and a seating area with a cable flat-screen TV. Some units also have a kitchen equipped with an oven. 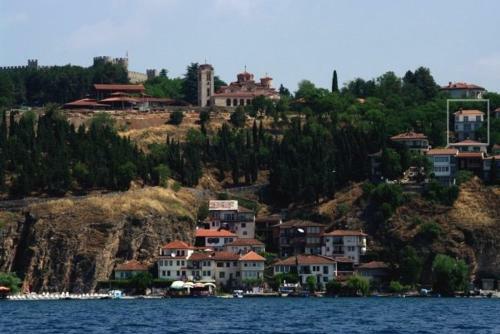 Port Ohrid is half a mile from the apartment, while Saint Pantelejmon is a few steps away. This is our guests' favorite part of Ohrid, according to independent reviews. 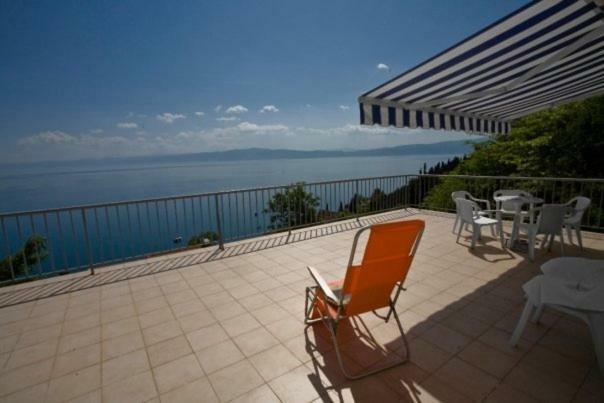 This property also has one of the top-rated locations in Ohrid! Guests are happier about it compared to other properties in the area. This property is also rated for the best value in Ohrid! Guests are getting more for their money when compared to other properties in this city. 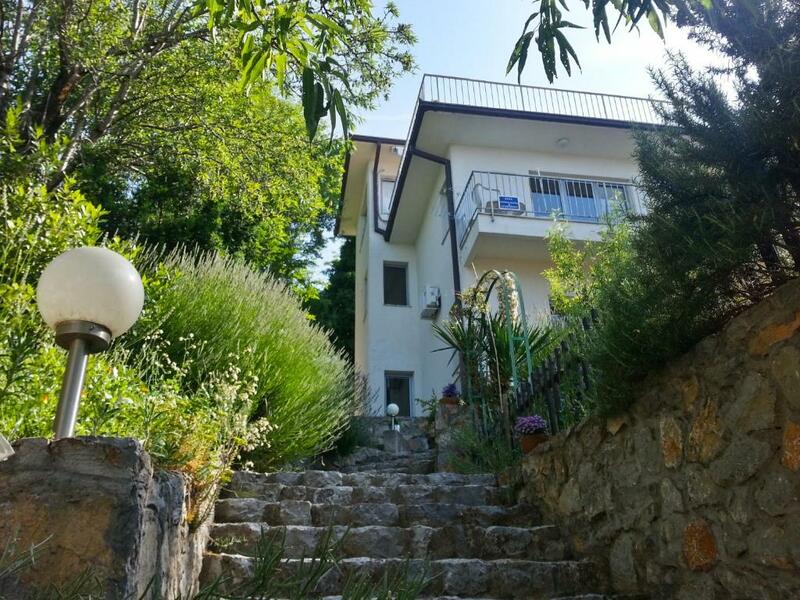 뀐 Located in the top-rated area in Ohrid, this property has an excellent location score of 9.6! When would you like to stay at Maslov Apartments? This apartment has a barbecue, dining area and kitchenette. This apartment has a cable TV, air conditioning and balcony. Maslov Apartments are located in the old part of the town, in settlement Kaneo which is one of the most attractive areas on the shores of Ohrid Lake. This is a perfect place to start exploring the cultural and natural beauties of Ohrid. The green of the nature around in combination to the blue of the sky and the Lake create a fantastic atmosphere. The apartments are fully equipped to meet everyday needs of the guests. House Rules Maslov Apartments takes special requests – add in the next step! 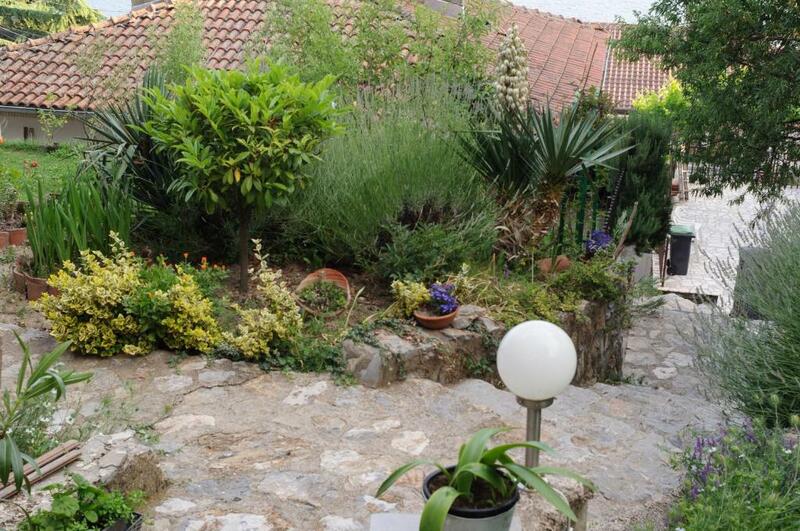 Perfect location in the Old Town, quiet, close to centre and within a few hundred meters of most of the cultural sites. View from our room and south facing balcony were across the whole beautiful lake - stunning! Practical kitchenette, very comfortable beds (for 2), good WiFi, cable tv with, much to our surprise, premiership football! Aleksandra was a very personable and helpful host, arranging taxi's, assisting with language and all our enquires. Superb location and modern well equipped apartment. Owner lived next door and was extremely helpful and always available. The location just above the Ohrid lake is a dream. We had the greatest view on the lake from our balcony. We stayed in two different apartments which were both absolutely clean, comfy and well equipped. The larger apartment is really spacious. The smaller one has a huge terrace, which could use a better umbrella. The host is very attentive and a very friendly person. We felt like home. The Wi-Fi was a little temperamental. Everything was perfect for what we wanted. 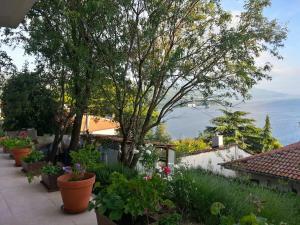 The terrace has beautiful views and isn't overlooked, the location is really convenient (10 min walk inot the centre) and Aleksandra was really helpful. Excellent apartment with amazing view and great location. Aleksandra was really helpful and lovely. We recently enjoyed a ten night stay at Maslov Apartments. The property, being located in the old town, is perfectly positioned for exploring the many cultural and historical sites that Ohrid has to offer. Our stay was in the ground floor apartment which was spacious with a large terrace that afforded a wonderful view of the lake and mountains. 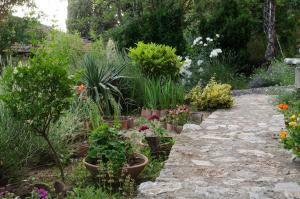 We particularly appreciated the fact that the accommodation was exceptionally clean and tidy. Our host Alexsandra was extremely friendly and helpful. She liaised with us before our visit, offering any required advice and arranging for a taxi to collect us from the airport. We didn't have any problems during our stay, but it was comforting to know that Alexsandra was there to help us out if needed. Ohrid is a beautiful place to spend time, we can recommend a visit to Maslov Apartments. DO NOT MISS! Staying in the Maslov apartment is the best decision i've made on my trip to Ohrid. It's located in the old town, quieter compared to the new town, but shops and restaurants are still within walking distance. I stayed in the top-floor room, with a super big terrace all to myself and it has a superb view--you can see the lake, St john's kaneo church(the church by the lakeside), you can see fog in the morning, sunset at dusk, city lights, stars and the moon at night. I just don't want to leave! It's my favorite place in Ohrid! Besides, the room is quite spacious, with everything i needed, or more than I needed. You can also cook by yourself, but I didn't--i just stayed on the terrace and got lazy😝 Though the room is high up on a hill, I had no problems with my heavy luggages, bc the owner Aleksandra and her family are super nice people! They helped me with the luggage and everything. Aleksandra speaks good English and communication with her was very smooth. She's also very responsive to my problem-- the lights of my room were off once, and I texted her. She and her family went to check and fixed the problem very fast. Thanks to this small problem, I got to talk to her a little bit more and I learned that Ohrid is a twin city with Dalian, a Chinese city very close to my hometown. Amazing! The first day I arrived, Aleksandra lent me a city guide and I took it with me in my bag when I explored the city. When I left, I forgot to take it out and.give it back. I asked for Aleksandra's Paypal account to pay for it, but she let me keep it as a gift from Ohrid. She's just too kind! I highly highly recommend anyone coming to Ohrid to stay in Maslov apartment (especially the room I stayed in on the top). It's a place you cannot miss and once you stayed and left, I warn you my friends, you will definitely miss it later! Wish the windows and doors were fitted with insect screens. We also saw scorpion-like critters in the room when we woke up early on our last morning. 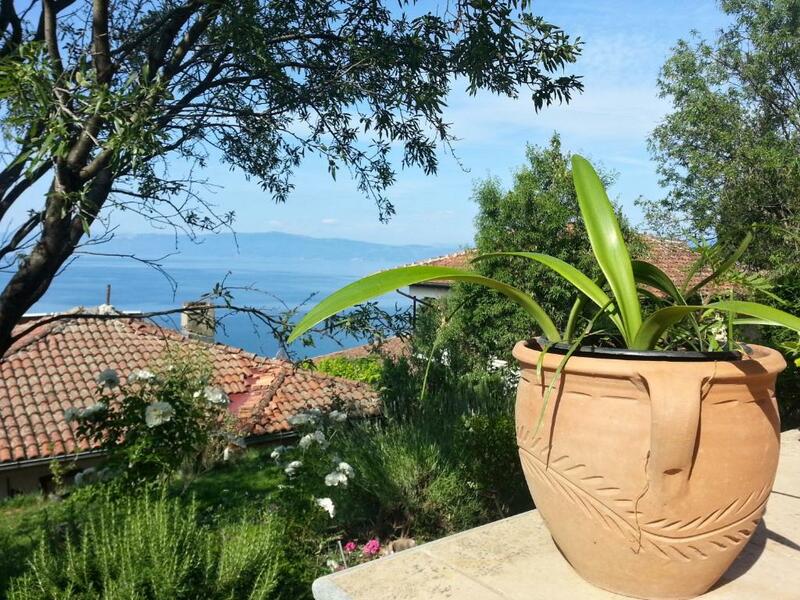 A big, bright, nicely furnished apartment with a great terrace and an amazing view over lake Ohrid. I have the feeling that we spent half of our stay in Macedonia at the apartment's terrace having drinks and gazing at the blue waters of the lake. The ultimate place for some chill time. And all the great restaurants/major sight-seeings are less than 5 min away. I'd go back in a heartbeat!